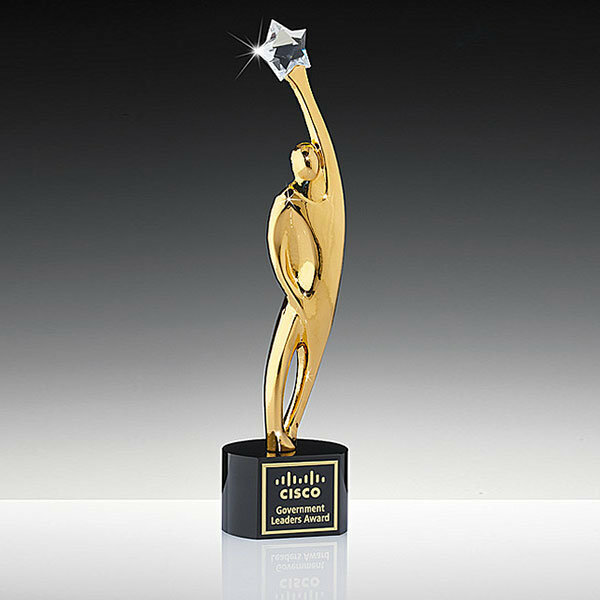 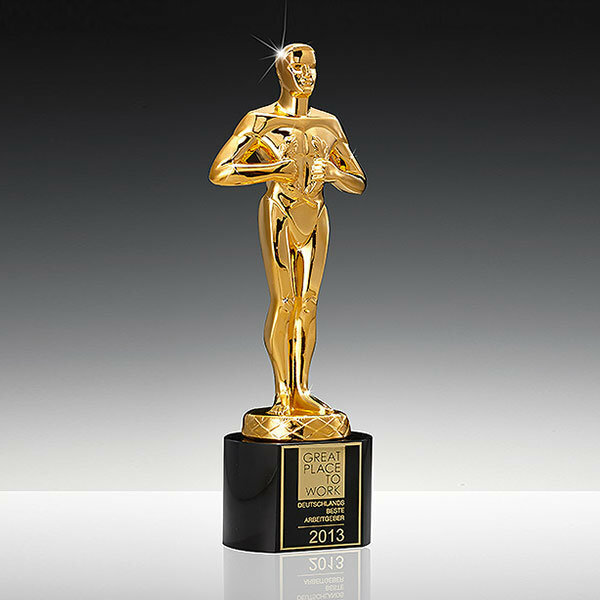 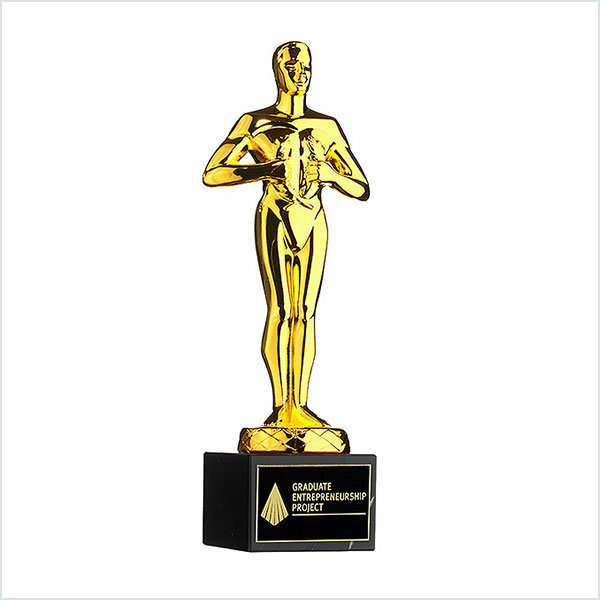 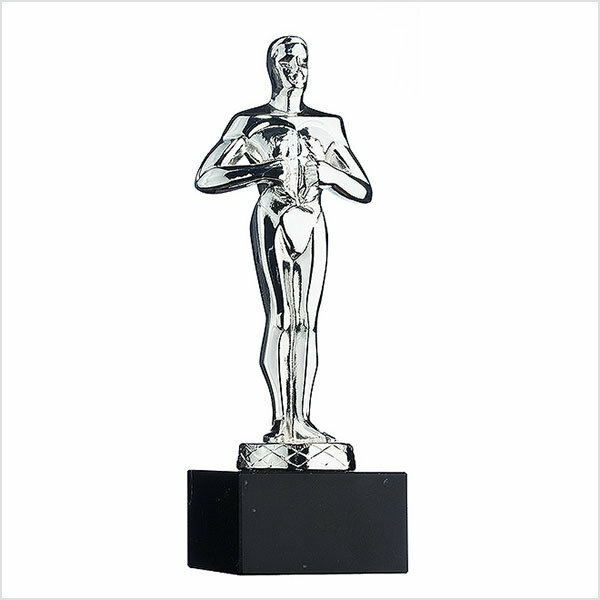 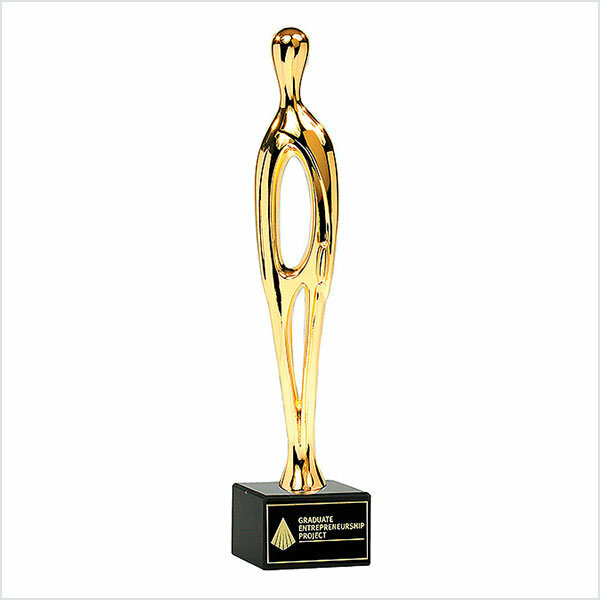 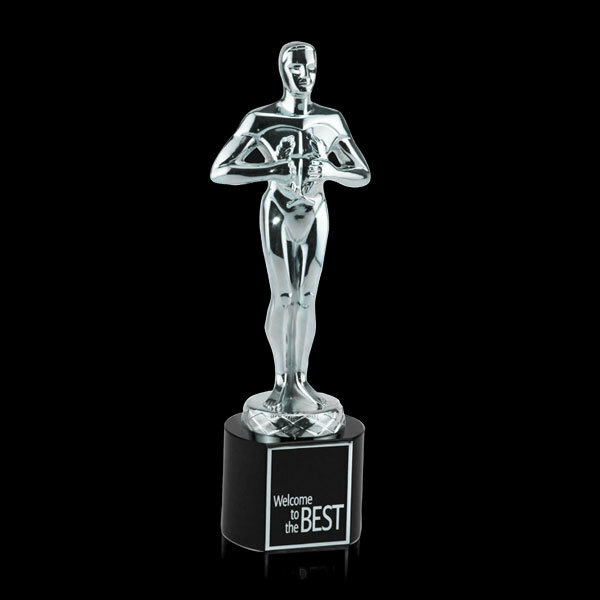 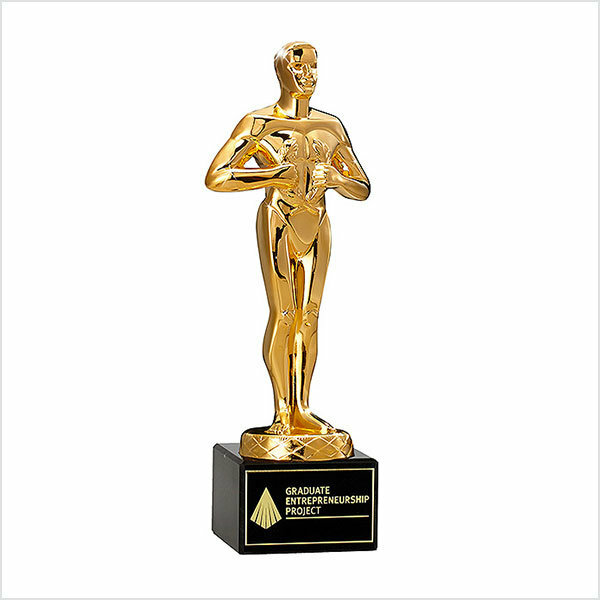 EFX is the official UK distributor of these iconic figurine trophies, recognised the world over and highly desirable. 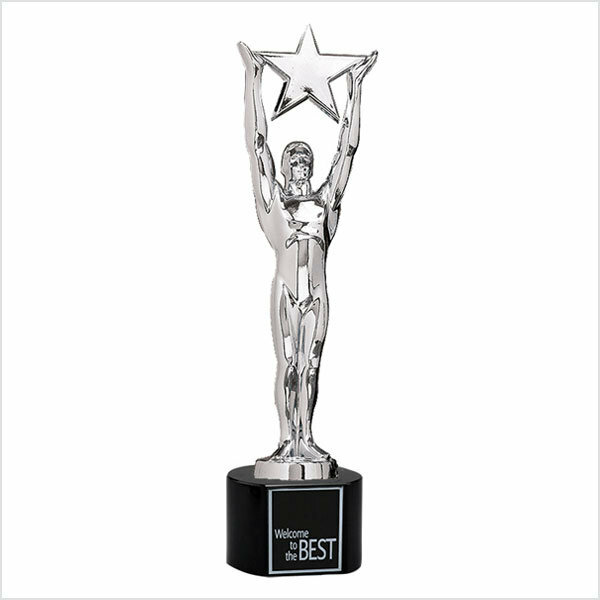 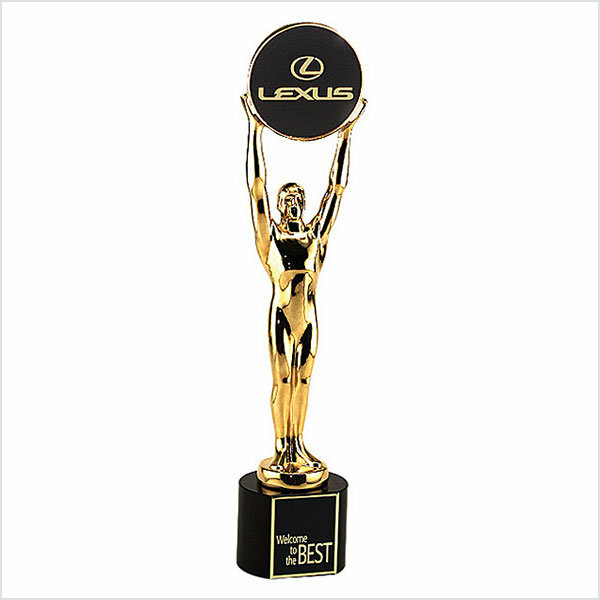 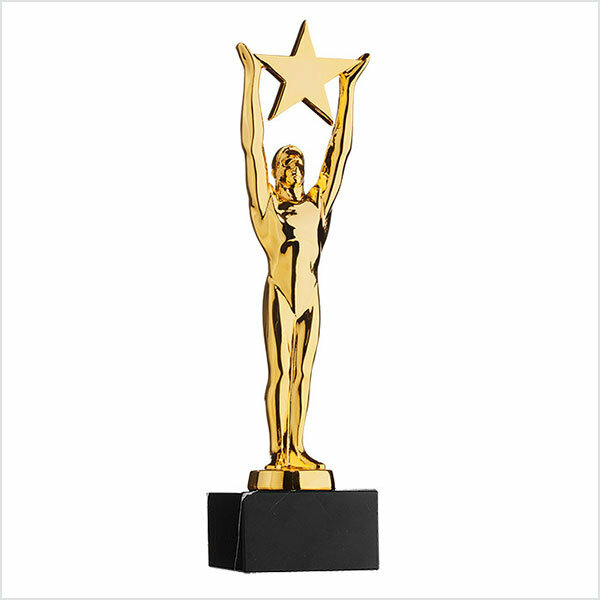 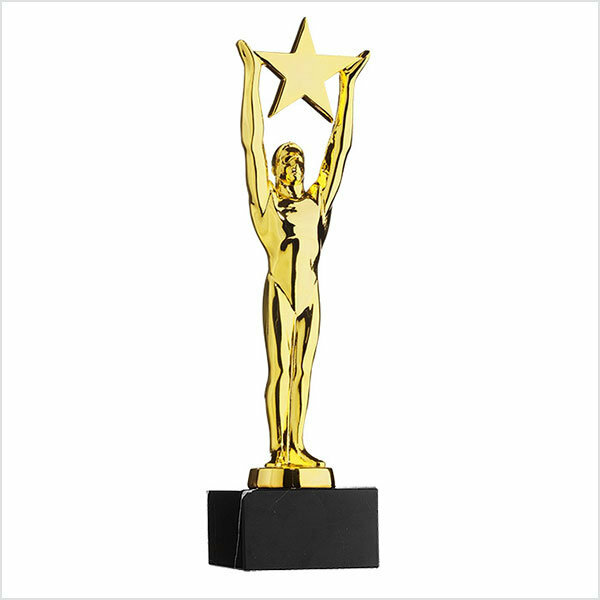 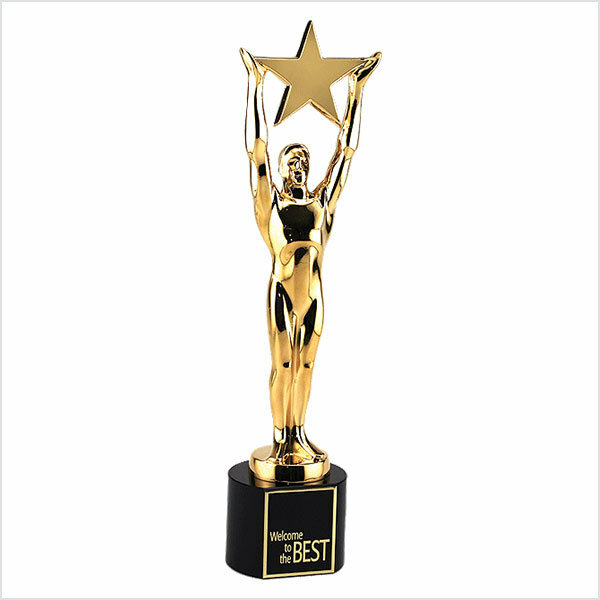 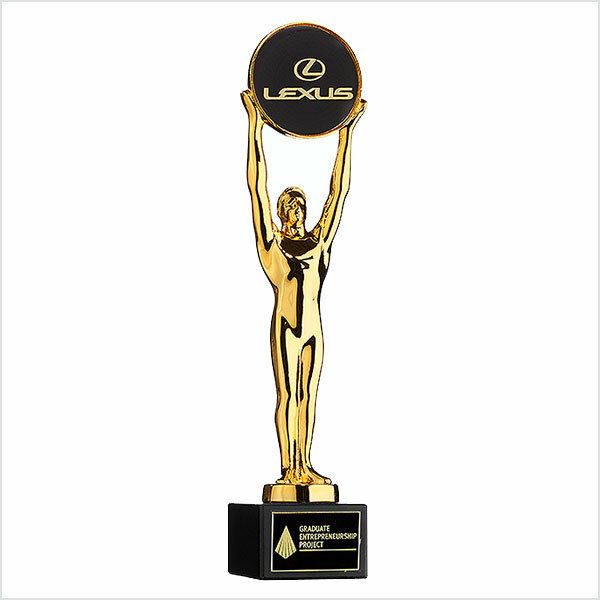 They are created by the American manufacturer of the similarly styled, prestigious film and music awards and offered in three designs featuring a gong, star or laurel leaf. Each of the award statues is available in three sizes, which is particularly pertinent when recognising three levels of achievement. 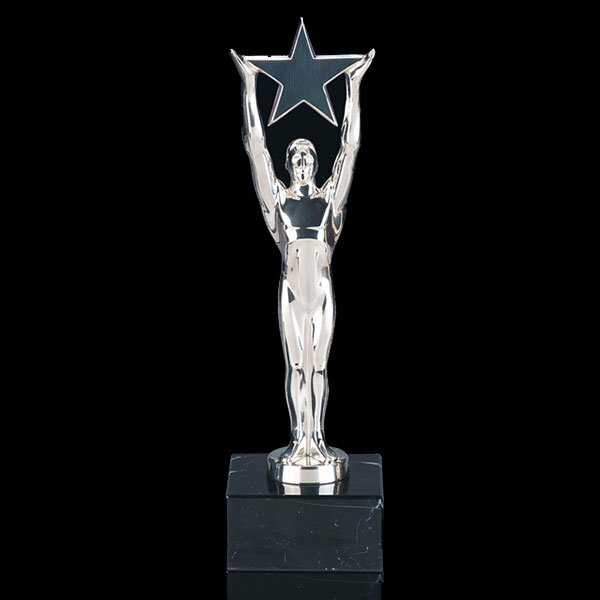 We personalise each trophy statue with an inscription and logo, engraved onto the plinth or gong, to reflect your awards event or special occasion.